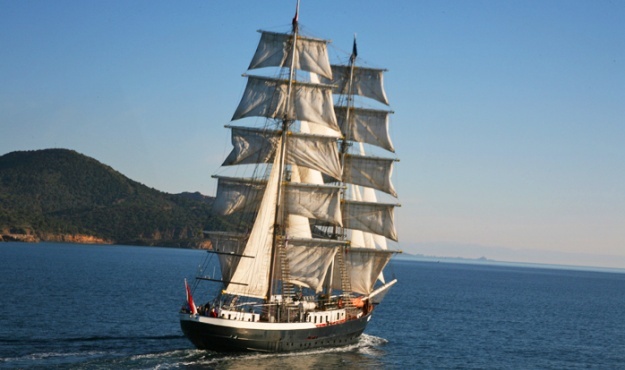 This magnificent 50 metre, rigged Tall ship can accommodate up to 140 people either at sea or on the quayside and is just one of an international flotilla of great, traditional, sailing ships. With its 900 square metres of sail, passengers are transported by the magic of this legend of the seas, whilst enjoying all the comforts of a modern sailboat – the lounge area inside can hold up to 60 people for lunch or a meeting. Sail the stunning Mediterranean coastline, drop anchor in the most beautiful bays and learn about hoisting the sails on this two-masted wonder.